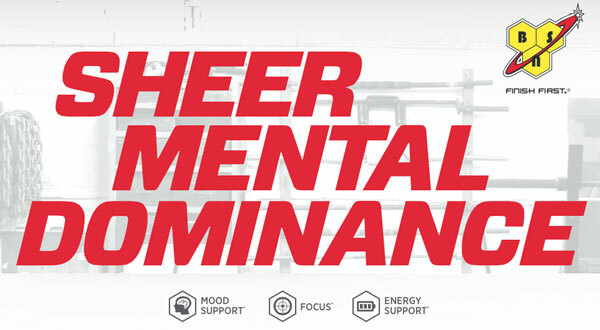 Get the mental edge and dominate both inside and outside the gym with BSN Neuro FX! Neuro FX is a unique supplement that supports the mind-muscle connection and will give you the edge over your competitors and the edge in life. So what is the mind-muscle connection? And how does it aid my performance? Basically, in lamans terms it is how your brain commuminates with your muscles to create movement. In order for a muscle contraction to occur your brain needs to send a chemical messager (Acetylcholine) to the muscle in order for this to happen. It is becoming more obvious that simply lifting weights is not the total equation to quality muscle growth. Yes, you will see gains but you could acheive so muscle more if you hone in on the mind-muscle connection, the synergy between your brain and your muscles. BSN Neuro FX supports this amazing phenomenon. Neuro FX provides an intense focus and concentration and helps you stay intune with how your muscles are functioning, being more focused on the quality of your movement and how the muscle is working. Improving the mind-muscle connection with Neuro FX can potentially improve the signals to the target muscles for better workout and increased muscle gains. Not training, but still requre a mental edge? BSN Neuro FX improves cognitive function and mental clarity to help you achieve deadlines in your workplace or to aid study for that important exam. 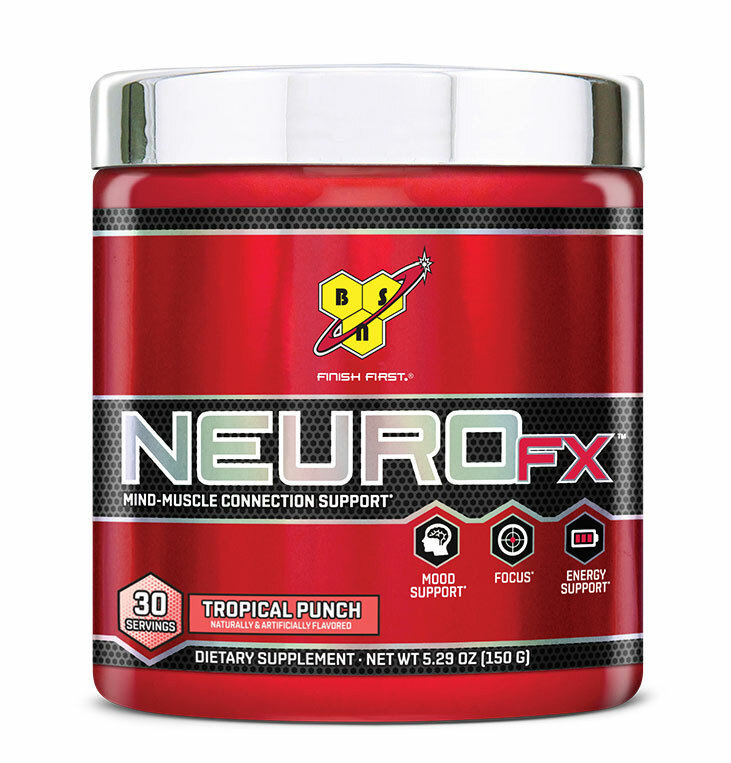 Unstoppable drive and limitless power with BSN Neuro FX! Mix 1 scoop (5g) of Neuro FX with 175 - 235ml of water as required for focus, concentration and mood support. OTHER INGREDIENTS: Malic Acid, Natural and Artificial Flavor, Citric Acid, Silicon Dioxide, Calcium Silicate, Xanthan Gum, Sucralose, Acesulfame Potassium, Red 40.